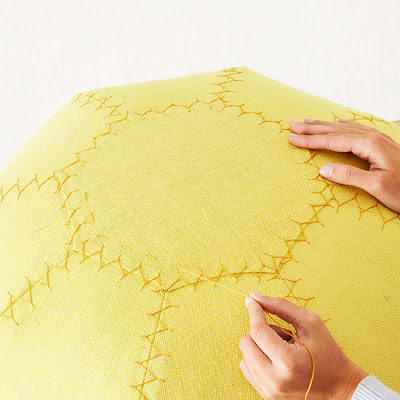 The July issue of Better Homes and Gardens features this pouf, and BHG.com includes a step-by-step tutorial on how to make your own for less than $50. 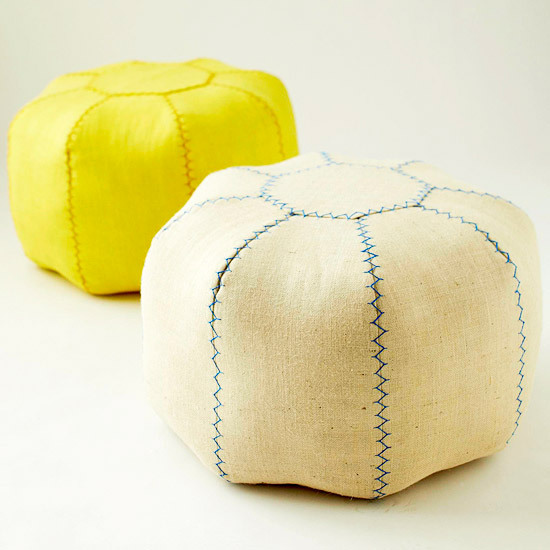 The BHG pouf looks very similar to my own Moroccan ottoman project from '09 - the difference being that my pouf was made from an old party dress and cost no where near $50. It cost $0. That being said, BHG did offer some good tips I didn't think of. One, after stuffing your pouf with towels, fabric scraps, blankets and so forth (which I did), top it off with fiberfill to give it a nice puffed shape, thus avoiding pouf cellulite. The other was a how-to for adding decorative stitching along the seams of the pouf. BHG should hire you! That said, I like the decorative stitching - that's a nice touch. cool, and great reuse of a party dress! 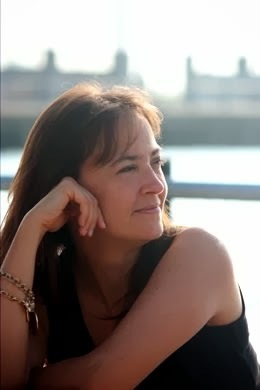 That woman doing the BHG one looks very stern - you looked happier than that, I bet, as you worked on your silver creation. pouf cellulite? that's hilarious and i agree with elisa. bhg should totally hire you. I actually put the dress on for a bit and pretended to be a villaness from the Chronicles of Narnia. For that moment, I was stern. Since when did BH&G get so...dare I say it...with it? I'm kinda tempted to try this. I'm so impressed! 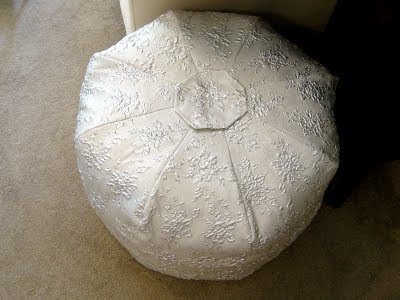 I have a few heinous bridesmaids gown that could use the pouf treatment! I remember your tutorial on making this and it's been in my catalog of things to do for a while. loving the linen they used and the decorate stitching - pretty awesome! The decorative stitching is a great detail. Love!